Each year the Center for Sustainable Systems based at the School for Environment and Sustainability, invites an internationally recognized expert to deliver the Peter M. Wege Lecture on Sustainability at the University of Michigan. This annual Lecture Series focuses on critical issues of sustainability and honors Peter M. Wege for his many outstanding contributions to the University of Michigan’s Center for Sustainable Systems and to the environmental field. This Lecture Series addresses important sustainability challenges facing society in the 21st century including: energy security and declining fossil resources, global climate change, freshwater scarcity, ecosystem degradation and biodiversity loss; and sustainable development strategies for mobility, buildings, and other complex systems for meeting human needs in both developed and developing countries. When Christiana Figueres became the chief climate change negotiator for the United Nations in 2010, a global climate accord seemed impossible. Five years later, the Paris Climate Agreement was unstoppable: 195 governments unanimously signed on to keep global temperature rise below two degrees Celsius. But according to Figueres, who is often referred to as the architect of the agreement, this was just a staging post in what remains a long, hard process. So what are the next steps in advancing climate solutions, mitigation efforts, and accelerating a clean energy future? Time is running out, and we must act now to raise collective ambition and leadership to protect the most vulnerable. How can we seize this moment to create jobs, ensure energy access, safeguard food and water, improve health, and protect economic and social stability for the future? Join Christiana Figueres as she shares the inside story behind the Paris Climate Agreement and strategies for accelerating climate action. Christiana, who has been credited with forging a new brand of collaborative diplomacy, will discuss how “radical collaboration” between businesses, NGOs, universities, local and state governments, and communities can help advance a carbon-neutral future and address the most pressing issue of our time. The 2017 Wege Lecture featured renowned author, environmentalist, and activist, Bill McKibben, who delivered a talk titled Down to the Wire: A Hot Fight in a Hot World. Mr. McKibben has written extensively about climate change throughout his career and is the founder of 350.org, the first planet-wide grassroots climate change movement. Bill McKibben, an author and environmentalist who in 2014 was awarded the Right Livelihood Prize, sometimes called the "alternative Nobel." His 1989 book The End of Nature is regarded as the first book for a general audience about climate change, and has appeared in 24 languages; he’s gone on to write a dozen more books. He is a founder of 350.org, the first planet-wide, grassroots climate change movement, which has organized twenty thousand rallies around the world in every country save North Korea, spearheaded the resistance to the Keystone Pipeline, and launched the fast-growing fossil fuel divestment movement. A former staff writer for the New Yorker, he writes frequently for a wide variety of publications around the world, including the New York Review of Books, National Geographic, and Rolling Stone. He lives in the mountains above Lake Champlain with his wife, the writer Sue Halpern, where he spends as much time as possible outdoors. In 2014, biologists honored him by naming a new species of woodland gnat—Megophthalmidia mckibbeni—in his honor. This program was presented in partnership with MC²: Michigan & the Climate Crisis in conjunction with the Bicentennial LSA Theme Semester with support from: Science for the People, Office of the Provost; School for Environment and Sustainability; College of Literature, Science, and the Arts; Bicentennial Office; College of Engineering, Rackham School for Graduate Studies; Center for the Study of Complex Systems; Center for Sustainable Systems; Institute for the Humanities; Ross School of Business; Joseph A. Labadie Collection; LSA Honors Program; Molecular, Cellular, and Developmental Biology; American Culture; Chemistry; Communication Studies; Earth and Environmental Sciences; Ecological and Evolutionary Biology; Ford School of Public Policy; Graham Institute; History; Museum of Natural History; Physics; Program in Science, Technology, and Society; Weiser Center for Emerging Democracies; Anthropology; Asian Languages and Cultures; English Language and Literature; and Eisenberg Institute for Historical Studies. This Wege Lecture on Sustainability will kick off the 3-day celebration of the Center's 25th Anniversary. Professor Clark is the Harvey Brooks Professor of International Science, Public Policy and Human Development at Harvard University’s John F. Kennedy School of Government. Trained as an ecologist, his research focuses on sustainability science: understanding the interactions of human and environmental systems with a view toward advancing the goals of sustainable development. He is particularly interested in how institutional arrangements affect the linkage between knowledge and action in the sustainability arena. The ultimate determinants of intergenerational well-being should be thought of as the stocks of assets on which people now draw and will draw in the future to subsist and improve their lives – stocks that include natural, social, manufactured, human and knowledge capital. Managing these assets requires understanding how they interact in highly complex social-environmental systems. It also requires understanding how people, as committed agents of change, can intervene in those systems to move them toward sustainability goals, working collaboratively in governance processes to influence how society takes actions to promote sustainability. While actors from every realm of society can and need to engage in this, innovations from the research and development communities are particularly needed; creating useful knowledge and linking it effectively with decision making is a critical need. This talk explores frameworks and approaches for understanding, analyzing, and effectively engaging in sustainability challenges. In 1994 Mr. Figueres was elected President of Costa Rica and was the nation’s youngest elected president of the 20th Century. After he left the presidency of Costa Rica in 1998, Figueres has been involved in global issues such as climate change, sustainable development, and technology. In 2000, Figueres joined the World Economic Forum in Switzerland, and later he worked with Concordia 21 in Madrid. Since 2010, he has been Chairman of the Carbon War Room, an independent non-profit organization focused on the global transition to a low-carbon economy. And in 2012, he was appointed as the new President of the Carbon War Room. Lowering carbon emissions represents the largest economic opportunity humanity has ever faced. Getting it right is the challenge, and the big imperative of our times. Janine Benyus, biologist and author of "Biomimicry: Innovation Inspired by Nature"
In 1998, Janine co-founded the Helena, Montana-based Biomimicry Guild with Dr. Dayna Baumeister. The Guild is an innovation consultancy providing biological consulting and research, workshops and field excursions, and a speakers’ bureau. The Guild helps designers learn from and emulate natural models with the goal of developing products, processes, and policies that create conditions conducive to life. In 2005, Janine founded The Biomimicry Institute (TBI), a nonprofit organization based in Missoula, MT. TBI’s mission is to nurture and grow a global community of people who are learning from, emulating, and conserving life’s genius to create a healthier, more sustainable planet. Programs include the development of biomimicry courses in a range of educational settings from K-12 schools to universities as well as non-formal venues such as zoos, museums and nature centers. TBI also offers biomimicry workshops for designers (engineers, architects, etc.) as well as biologists through the Biologist-at-the-Design-Table training. TBI’s Innovation for Conservation program uses proceeds from bio-inspired products to conserve the habitat of the mentor organisms. In 2008, the TBI launched www.AskNature.org, an open-source database of biological literature organized by design and engineering function. In early 2009, as part of its K-12 educational outreach work, TBI released Ask the Planet, a CD of children’s biomimicry songs, written and composed by Amy Martin featuring numerous celebrity artists including Ani DiFranco, Dar Williams and Bruce Cockburn. Janine has received several awards including a Time Magazine’s Heroes of the Environment award, the Rachel Carson Environmental Ethics Award, the Lud Browman Award for Science Writing in Society, and the Barrows and Heinz Distinguished Lectureships. In 2009, Janine was honored with a Champion of the Earth award in Science & Innovation from the United Nations Environment Programme. She traveled to Paris to accept the award on Earth Day and then participated in a two-day conference hosted by Business 4 Environment. Biomimicry is the practice of learning from and then emulating life’s best ideas to create a more sustainable world. By mimicking nature's time-tested strategies, biomimics are learning to capture fog like a desert beetle, preserve vaccines like a resurrection fern, resist bacteria like a shark, and gather energy like a leaf. Based on 3.8 billion of years of R&D, these designs sip energy, shave material use, eliminate toxins, and turn waste into opportunities. Once a specialty science, Biomimicry has spread virally in the last 15 years. Hundreds of Biomimicry start-ups are making headlines with nature-inspired technologies that solve global challenges and disrupt business as usual. Leading companies such as Natura, Arup, Airbus, Boeing, HOK, IDEO, Interface, Levi’s, and Nike use biomimicry in their labs as well as their boardrooms, finding inspiration for product and management redesign. Since the publication of her seminal book, Biomimicry: Innovation Inspired by Nature, Janine Benyus and her colleagues at Biomimicry 3.8 have developed a methodology for bio-inspired design while introducing millions to its potential. They’ve worked with over 250 corporate clients and professors from more than 100 universities to embed biomimicry in both design and decisionmaking. They’ve been “biologists at the design table” with some of the world’s greatest innovators, reimagining everything from solar manufacture to city planning. In this talk, Janine will give an insider’s view of the latest biomimicry advances on the drawing board and in the market. She’ll discuss the worldwide spread of the meme, and how it is being heralded as a “one of the top 20 breakthrough business ideas” (Harvard Business Review, HBR List), “a paradigm shift for the world of design” (Smithsonian National Design Awards), and “one of 10 innovations that will change the way you manufacture” (Society of Manufacturing Engineers). At this critical tipping-point for the field, she’ll describe what’s needed to take biomimicry global while cultivating ethical thought leadership that will focus Biomimicry on what’s worth doing. Come learn what all the excitement is about from the founder of this practical, radical, and powerfully hopeful approach to innovation. Hear what happens when inventors become nature’s apprentices, creating world-changing technologies that create conditions conducive to all Life. Before joining UNEP, Mr. Steiner served as Director General of the International Union for Conservation of Nature (IUCN) from 2001 to 2006, and prior to that as Secretary General of the World Commission on Dams. His professional career has included assignments with governmental, non-governmental and international organizations in different parts of the world including India, Pakistan, Germany, Zimbabwe, United States, Vietnam, South Africa, Switzerland and Kenya. He worked both at the grassroots level as well as at the highest levels of international policy-making to address the interface between environmental sustainability, social equity and economic development. Mr. Steiner, a German and Brazilian national, was born in Brazil in 1961. His educational background includes a BA from the University of Oxford and an MA from the University of London with specialization in development economics, regional planning, and international development and environmental policy. He also studied at the German Development Institute in Berlin as well as the Harvard Business School. He serves on a number of international advisory boards, including the China Council for International Cooperation on Environment and Development. Rooted in a tradition of critiquing past development choices, environmentalism has increasingly emerged as a science and empirically-based provider of analysis and risk assessment as to the environmental change phenomena occurring in our atmosphere and biosphere. The need for moving beyond questioning to providing answers and alternatives has meant that the ‘environmentalism of the 21st century’ must itself confront significant drivers of change. By drawing on ‘lessons learnt’ and exploring the implications of some of the most recent concepts shaping the environmental discourse of today – such as planetary boundaries, decoupling, the green economy, natural capital, tipping points and irreversible change, inter-generational equity and environmental rights – the lecture will reflect on some of the key reference points which will define the strategic directions for an evolving ‘environmentalism in the 21st century'. Change has become an imperative - the question is whether this environmentalism can move beyond the planetary perspective to incorporate the social and economic realities that motivate the choices people make about the future. The Center for Sustainable Systems and School of Natural Resources and Environment present the Wege Lecture in collaboration with the following co-sponsors: College of Engineering, Erb Institute for Global Sustainable Enterprise, Graham Environmental Sustainability Institute, Institute for Social Research, Michigan Energy Institute, Office of the Provost, Office of the Vice President for Research, and School of Public Health. Dr. Marie Lynn Miranda, Dean of the School of Natural Resources and Environment and Director of the Children's Environmental Health Lab, delivers the 11th Annual Peter M. Wege Lecture on Sustainability. The lecture begins at 5:00 p.m. in the Rackham Auditorium, and is followed by a public reception. Marie Lynn Miranda became dean of the School of Natural Resources and Environment, on January 1, 2012. Miranda was previously a faculty member in the Nicholas School of the Environment, the Integrated Toxicology and Environmental Health Program and the Global Health Institute at Duke University. She also was a faculty member in the Department of Pediatrics within Duke Medicine. The Detroit native has devoted much of her professional career to research directed at improving the health status of disadvantaged populations, particularly children. She is the founding director of the Children’s Environmental Health Initiative, a research, education and outreach program that fosters environments where all children can prosper. She has held the director post since 1999. CEHI’s peer-reviewed work is cited widely, including in the U.S. Environmental Protection Agency’s current integrated science assessment on revisions to the national ambient air quality standard for lead. CEHI also works closely with a wide range of organizations and non-profits in addressing children’s environmental health issues in the community. In 2008, CEHI won the EPA’s Environmental Justice Achievement Award. This event was sponsored by the Center for Sustainable Systems, School of Natural Resources and Environment, Office of the Provost, Office of the Vice President for Research, School of Public Health, Department of Pediatrics and Communicable Diseases, C.S. Mott Children's Hospital, School of Social Work, and Michigan Radio - Environment Report. Dr. Larry Brilliant, University of Michigan alumnus and president of the Skoll Global Threats Fund, delivers the 10th Annual Peter M. Wege Lecture on Sustainability. The lecture begins at 3:30 p.m. in the Rackham Auditorium, and is followed by a public reception. Dr. Brilliant joined Skoll Global Threats Fund after serving three years as a Google VP and the first executive director of Google.org, the company’s philanthropic arm. He is a medical doctor and MPH, board-certified in preventive medicine. He lived and worked in India for 10 years and was one of a four-person United Nations' team that led the successful World Health Organization smallpox eradication program in India and South Asia. He later founded the Seva Foundation, whose projects have given back sight to nearly 3 million people worldwide through their work to eliminate preventable and curable blindness. In 1985, he co-founded The Well, a pioneering digital community and he holds a telecom systems patent. He was a professor of international policy and epidemiology at the University of Michigan and has authored two books and dozens of scientific articles on infectious diseases, blindness and international health policy. He volunteered as a physician during several disasters, including the Asian Tsunami in Sri Lanka and Indonesia and the Bihar Floods. After the anthrax attacks in the United States in 2001, he volunteered as a first responder for the Centers for Disease Control's bio-terrorism effort. Dr. Brilliant chairs the National Bio-Surveillance Advisory Subcommittee, created by Presidential directive, and is a member of the World Economic Forum Global Advisory Council on Catastrophic Risks. He was elected to the Council on Foreign Relations in 2008. He sits on the boards of the Skoll Foundation and several other nonprofits. Recent awards include Time Magazine's 100 Most Influential People and top 20 Scientists and Thinkers (2008); UN Global Leadership Award (2008); TED Prize (2006); Peacemaker Award (2005); International Public Health Hero (2004); and two honorary doctorates. In 2009, The Final Inch, the documentary about polio eradication which Dr. Brilliant inspired and was funded by Google.org, was nominated for an Oscar. Co-sponsored by the Center for Sustainable Systems, the School of Natural Resources and Environment, Office of Vice President for Research, and the School of Public Health. View Lecture and the Q&A session recordings. Dr. John P. Holdren is Assistant to the President for Science and Technology, Director of the White House Office of Science and Technology Policy, and Co-Chair of the President’s Council of Advisors on Science and Technology (PCAST). 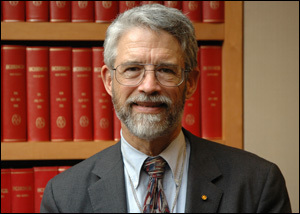 Prior to joining the Obama administration, Dr. Holdren was Teresa and John Heinz Professor of Environmental Policy and Director of the Program on Science, Technology, and Public Policy at Harvard University’s Kennedy School of Government, as well as professor in Harvard’s Department of Earth and Planetary Sciences and Director of the independent, nonprofit Woods Hole Research Center. From 1973 to 1996, he was on the faculty of the University of California, Berkeley, where he co-founded and co-led the interdisciplinary graduate-degree program in energy and resources. Dr. Holdren holds advanced degrees in aerospace engineering and theoretical plasma physics from MIT and Stanford and is highly regarded for his work on energy technology and policy, global climate change and nuclear arms control and nonproliferation. He is a member of the National Academy of Sciences, the National Academy of Engineering and the American Academy of Arts and Sciences, as well as foreign member of the Royal Society of London. A former president of the American Association for the Advancement of Science, his awards include a MacArthur Foundation Prize Fellowship, the John Heinz Prize in Public Policy, the Tyler Prize for Environmental Achievement and the Volvo Environment Prize. He served from 1991 until 2005 as a member of the MacArthur Foundation’s board of trustees. During the Clinton administration, Dr. Holdren served as a member of PCAST through both terms and in that capacity chaired studies requested by President Clinton on preventing theft of nuclear materials, disposition of surplus weapon plutonium, the prospects of fusion energy, U.S. energy R&D strategy and international cooperation on energy technology innovation. In December 1995, he gave the acceptance lecture for the Nobel Peace Prize on behalf of the Pugwash Conferences on Science and World Affairs, an international organization of scientists and public figures in which he held leadership positions from 1982 to 1997. President Obama nominated Dr. Holdren in December 2008; the U.S. Senate unanimously confirmed the nomination March 19, 2009. Read more about William Clay Ford, Jr.
Read more about Dr. Brundtland. View Dr. Newman's Lecture Notes. View Dr. Newman's Slide Presentation. Read more about Dr. Peter Newman. View Dr. Sax's Lecture Notes. View Dr. Sax's Transcript of Talk. Read more about Dr. Joseph L. Sax. Read more about Dr. Rosina Bierbaum.